Joy Division are a band who attracted and still attract fanatical fans, people who would see any cover versions or re-working of the bands songs as sacrilegious. An example being the use of Joy Division artwork by hipster labels and companies being a source of annoyance to fans of the band – guaranteed you could throw a brick into any would be hipster hangout, please do, in Bristol and whack someone wearing an Unknown Pleasures T-shirt. Got the T-shirt, unlikely to have listened to the entire album though. So Live_Transmission, a re-working of the songs of Joy Division commissioned by the Brighton Festival, may have been a risky choice. Risky because there was a very good chance it could fail. And fail badly. However the concept by Laura Ducceschi and made real by the Heritage Orchestra, visual artist Matt Watkins and electronic music artist Scanner worked perfectly and not a word of complaint was heard as we left the Colston Hall. And the Colston Hall was the only venue in Bristol where this event could have taken place, as the size and dimensions and indeed acoustics suited it perfectly. Live_Transmission is not simply an orchestra covering Joy Division songs and some random projections. It is far more than that, it is a genuinely immersive performance, part classical recital, part rock gig, part video art show and wholly impressive. The orchestration of the songs by Tom Trapp is outstanding. Joy Division songs are some of the bleakest, coldest and most terrifying songs ever written. Trapp’s orchestration captured the essence of songs like ‘Isolation’ and ‘Heart and Soul’ which could have been profoundly depressing but somehow avoided that obvious pitfall. Possibly because we were listening and concentrating, waiting to see where the music was going to take us and where you were taken was never obvious. The opening salvo ‘Transmission’ captured the energy of the original but sounded even more urgent than this most frenetic f post punk singles. The subtle use of strings and horn section cut in with a tape loop of Ian Curtis’s vocals worked perfectly. Special mention should also go to additional musicians Matt Calvert, Adam Betts (Three Trapped Tigers) and John Calvert (Ghostpoet) on guitar, drums and keyboards. Without them the piece would have lacked a degree of coherence and urgency. It was also a pleasure to see such creative and virtuoso playing by rock musicians who did not grandstand but added to and worked with the orchestra on what must be a very difficult musical performance. The projections created by artist Matt Watkins were perfect for the piece. Generally abstract and projected onto a huge gauze cube in which the orchestra and musicans were seated, the three dimensional effect they created was stunning and absorbing. The visuals also enhanced rather than detracted from the music. My highlight, visually, was a projection of the iconic pulsar image from the first JD album which Watkins turned into a landscape through which we, the audience, travelled. The performance maintained tension, dramatic and otherwise throughout and the audience with few exceptions was quiet and engrossed and engaged in the music and imagery. The evening ended on an elegiac, almost pastoral version of ‘Love Will Tear Us Apart’ the big Joy Division hit. It was pretty and slight and the perfect ending to a near perfect performance any more intensity would have been too exhausting. via Review: Live_Transmission, Colston Hall – Bristol24-7. It is Joy Division – but not like you’ve ever heard (or seen) them before. 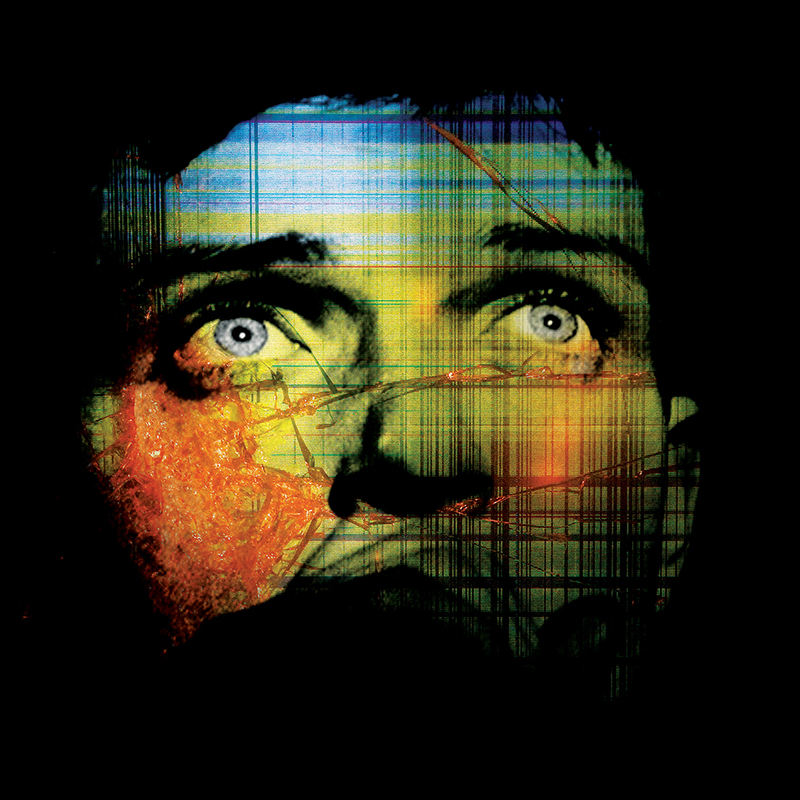 In Live_Transmission: Joy Division Reworked, the Heritage Orchestra and Scanner have created a stunning reinterpretation of the music of one of the best bands the post-punk era spawned. The 80 minute show, which visited Royal & Derngate in Northampton this week, is an assault on the senses, taking some of the band’s best known songs and reworking them with an orchestra , electronics and some of the instruments more commonly associated with Joy Division. The accompanying visual display was as much a part of Live_Transmission as the music. A clear screen between performers and audience created a truly immersive 3D like effect. There were points during the performance where Ian Curtis’ lyrics were literally written out mid air in front of you, while rear projections including pulsing red organisms and the familiar Unknown Pleasures album cover came to life behind the musicians. To allay fears, Live_Transmission is not simply a collection of four minute Joy Division song with a few strings crudely thrown over the top. In fact, it couldn’t further from this. Nor does it overly rely on the band’s biggest hits. There were the pulsing drum patters and bass riffs synonymous with Joy Division, but these were entwined amid strings, electronics and brass. Much of the performance was instrumental, with Curtis’ vocals making only fleeting appearances. As dismantled and rebuilt Joy Division songs came and went, the performance shared as much with post-rock as post-punk, with moments of gentle calm built to thunderous crescendos of noise. The performance’s finale was a slow paced interpenetration of the classic Love Will Tear Us Apart complete with vocals which received a standing ovation before the musicians – led by conducter Jules Buckley – turned, bowed and left the stage. via Live Review: Live_Transmission – Joy Division Reworked – Northampton Chronicle and Echo. FROM the first note played on the piano, to the final crescendo, I was mesmerised by the spectacle that is Live_Transmission: Joy Division Reworked. English rock band Joy Division were one of the ground-breaking bands of the 1970s and early ’80s, and for this performance their songs have been adapted to be played by a live orchestra, accompanied by projections on a screen shielding them. On a darkened stage, all that could be seen were the dots of light glowing next to the music stands and the shadowed outline of the musicians. The tips of the violin bows rose and fell as the music built, each instrument added gradually until the full force of the Heritage Orchestra filled the auditorium. It was haunting and powerful, as the familiar tunes were stripped back and reworked into something completely different and unlike anything I had ever seen or heard before. Bright lights and images were projected onto the screen and a video was played behind the orchestra, created by Matt Watkins, who has worked visual campaigns for Gorillaz. It was like being inside someone else’s mind and not really knowing what’s going on, but it being quite wonderful anyway. I couldn’t look away for even a second, I was completely consumed, and the hour-and-a-quarter performance felt like it was over in 10 minutes. The images seemed to tell a story, but one which was subjective and open to your own interpretation. It was like watching a piece of art being created live in front of you that was both beautiful and strange. The hypnotic sounds from the electro-orchestra flowed from one piece to the next, carrying the audience in a trance from beginning to end. It ended with Love Will Tear Us Apart – named the greatest song of the last 60 years by NME – which was the only tune to be accompanied by a recorded singer. As the audience gave a standing ovation, the musicians were finally revealed – it was just a shame they didn’t have a full house to give them the applause they deserved. My only criticism is that it finished too soon. via REVIEW: Emily Roberts is entranced by the Heritage Orchestra’s Live_Transmission in The Anvil (From Basingstoke Gazette). Absolutely agree – I didn’t catch it and I am annoyed after reading this. No doubt it will tour again!